For Chrome users: the advice in this post should take you two minutes to implement, and could save you loads of time. How often have you wanted to search Google and see as 'standard' a set of results as possible, with no personalization, based on your location or search history? It becomes even more necessary to do this when you're trying to diagnose an issue, and want to see the kind of results that people in another location or country are seeing. On Firefox, I've always been a fan of RedFly's Google Global plugin, allowing you to quickly see search results from any country, with no personalized search results. But what about on Google Chrome? 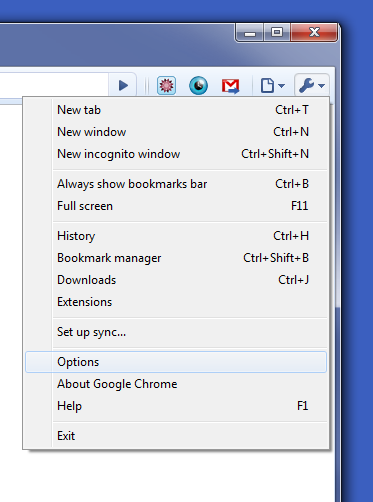 A lot of what needs to be done can be achieved by adding new 'search engines' to the Chrome settings. This is a really powerful feature, and I want to show you how to use it to make your SEO life a little easier. Step 3: Click 'Add' to create a new search engine, fill in the details (all the information about this is below) and then click 'OK'. 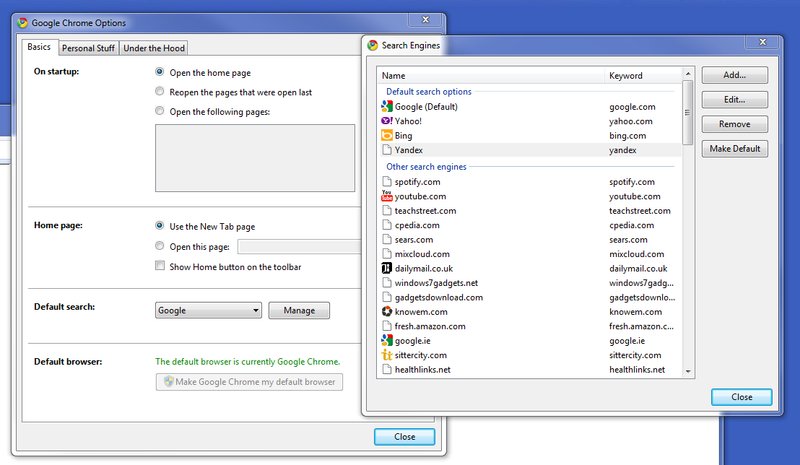 Optionally, you can make this your default search engine - it will then be used if you type search terms in the 'omnibox' or when you highlight words on a page, and right click to search for them. OK, that's how to add a new search engine; hopefully it's already becoming clear how I use this. 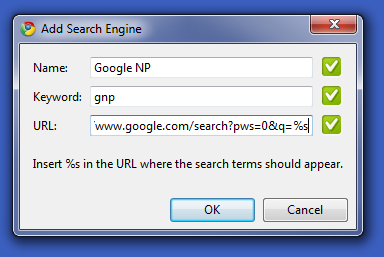 The 'pws=0' parameter removes the search personalizations. I set this as my default, so all searches then return non-personalized results - or at least they're not personalized based on my search history, though my location and other factors could still affect the results. gcat estelada: to see pages about the 'estadela' in the Catalan language. OK, it's a simple tip, but it saves me loads of time, and doesn't require any special plug-ins or add ons. I hope it's as useful for you!